Praise to the Lord! 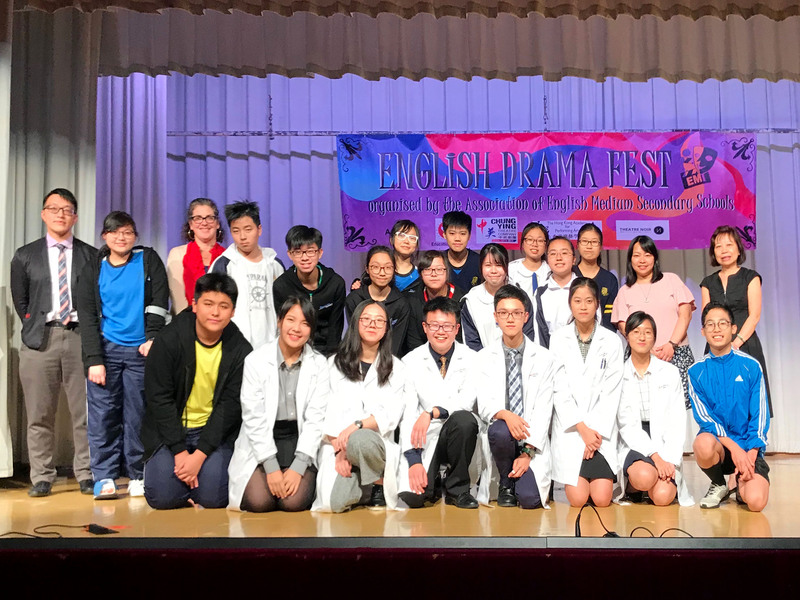 The School Drama Team once again got excellent results in 2018 English Drama Fest organized by the Association of English Medium Secondary Schools with the aims to promote and enhance students’ interest and proficiency in English in a fun and active way and to provide an opportunity for students at EMI schools to foster inter-school exchange in theatre art. 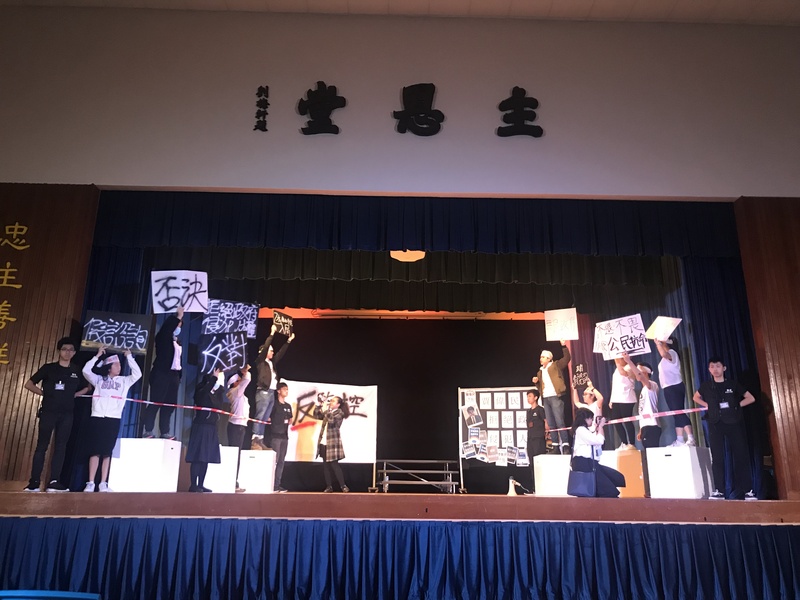 The School Drama team staged their performance on 12th April 2018 at Munsang College (Hong Kong Island) and has done the school proud by winning the Outstanding Performance Award, and 3C Law Ngai Chun Victor got the Award for Outstanding Performer. They were invited to participate in the public performance on 9th May 2018 at Shatin Town Hall. 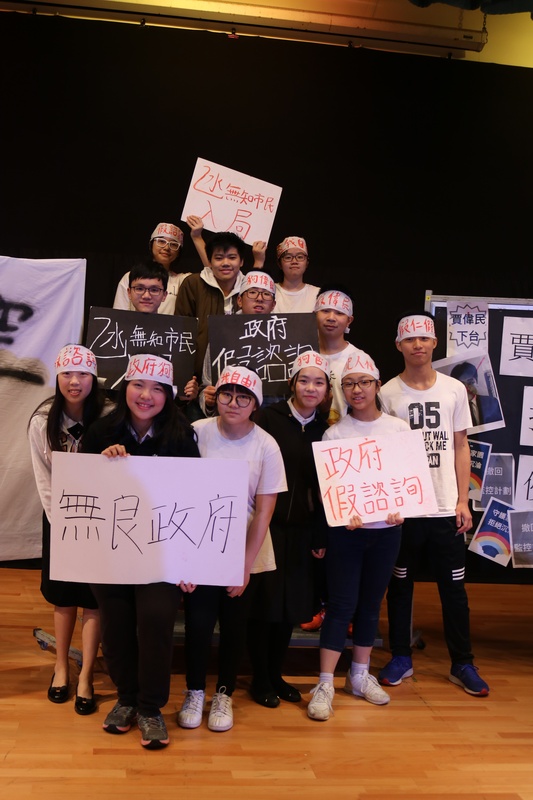 The School Drama Team joined the Hong Kong School Drama Festival annually and they got excellent results this year. The team staged their performance on 7th March 2018 and it was the first time for our school to clinch the Adjudicators’ Award in the festival. The team was invited to participate in the public performance at Sai Wan Ho Civic Centre on 4th May 2018. The team also got the Awards for Outstanding Stage Effects and Cooperation. 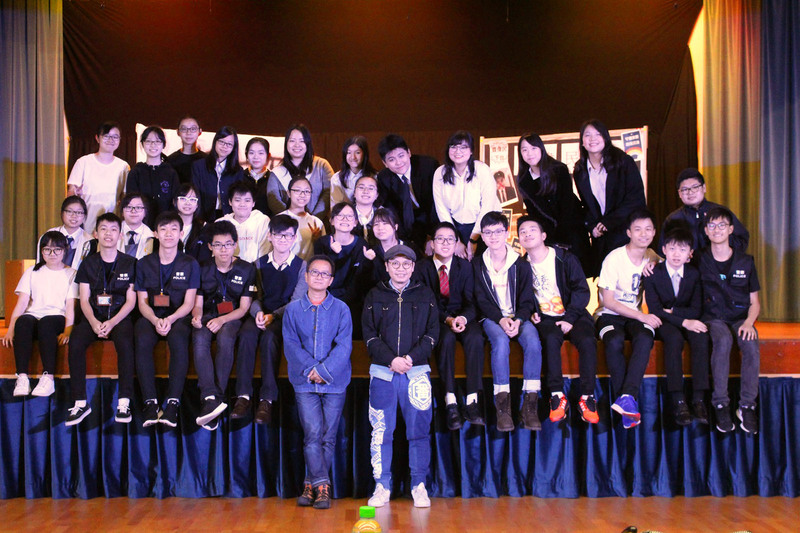 Besides, 5A Tiu Sin Yi Cindy got the Award for Outstanding Performer, and 5D Ng Yee Tung Irene got the Awards for Outstanding Script and Outstanding Director. 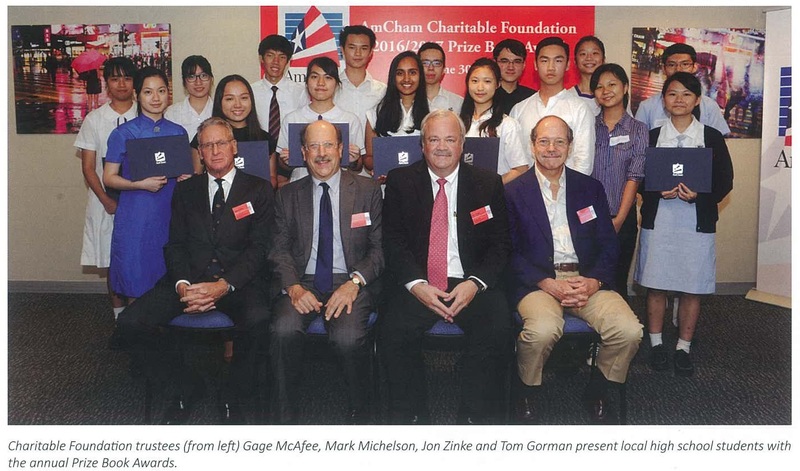 Our students have achieved outstanding results in the territory-wide News Commentary Competition, organized by Hok Yau Club aiming to strengthen the objective and critical thinking of students in analyzing the media and social issues. 73 students from our school participated in the competition and 5 of them entered the final selection. 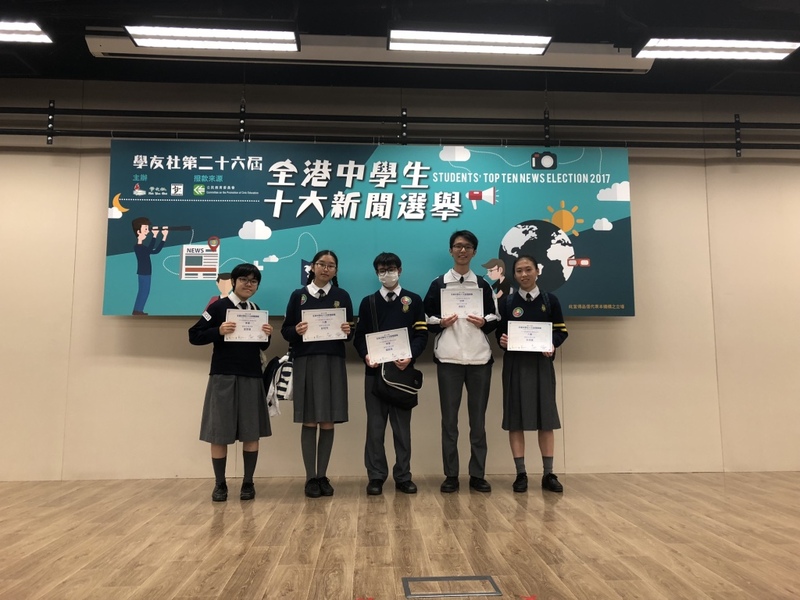 Honorably, 5C Yeung Fu Man won the Champion in the Senior Section, while 6C Wat Ka Hei and 3D Yeung Chun Fei got the Second Runner-up in the Senior Section and Junior Section respectively. Another two finalists are 5B Pang Kwai Fong and 5C Chu Tsz Ching. 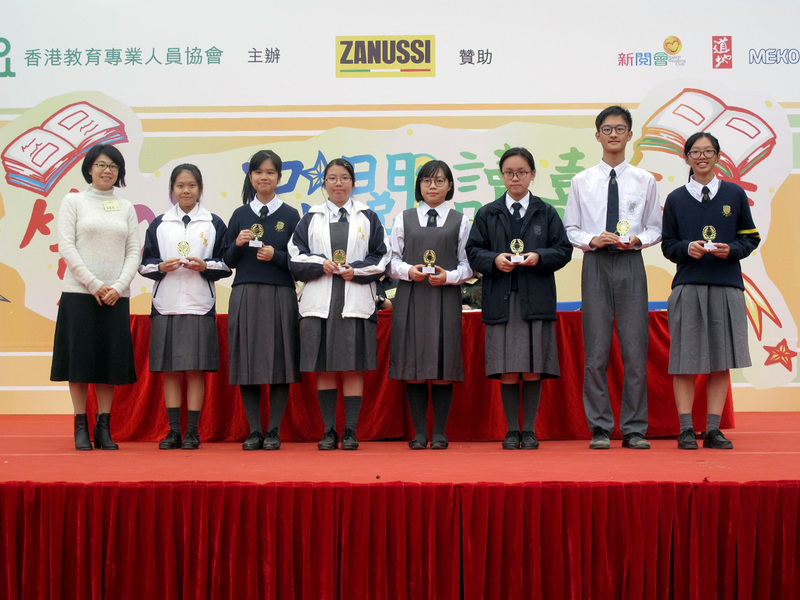 Our students participated in the Popular Reading Award Scheme Prize-giving Ceremony on 25 November, 2017. It is an activity organized by Hong Kong Professional Teachers’ Union, aiming to cultivate the reading habits of students. 108 students of our school got the purple medal, which is the highest honor of the scheme. 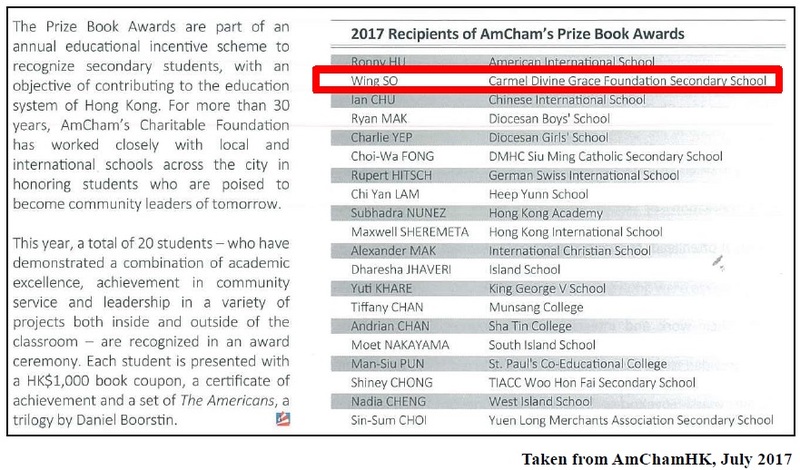 S6D So Wing was presented The Prize Book Award 2017 set up by AmCham Charitable Foundation in recognition of her academic excellence and extraordinary achievement in community service and leadership. 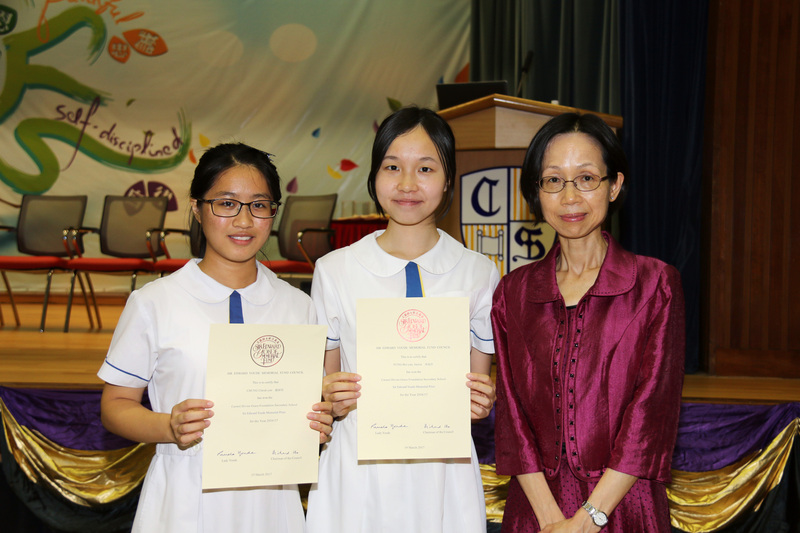 Two Secondary 6 students, Fung Hoi Yan Janice and Chung Cheuk Yan, were awarded Sir Edward Youde Memorial Prizes for Senior Secondary School students 2017 in recognition of their high standard of academic capabilities and remarkable leadership qualities.